Milk is one of the world’s most important agricultural food products. In meeting rising demand, more intensive dairying systems face a range of challenges such as maintaining high standards of safety whilst optimising nutritional and sensory quality. At the same time farms need to become more sustainable as well as meet higher standards of animal health and welfare. Smallholder systems in developing countries face problems such as low productivity and vulnerability to disease which also impact on safety, quality, sustainability and animal welfare. Drawing on an international range of expertise, this book reviews research addressing these challenges. It begins by discussing the composition of milk including proteins and bioactive components, the wide range of ingredients produced from milk, as well as aspects sensory quality. It also reviews current understanding of genetic factors affecting protein and other aspects of milk composition, other desirable traits such as fertility and advances in breeding to achieve improvements in quality and productivity in dairy farming. 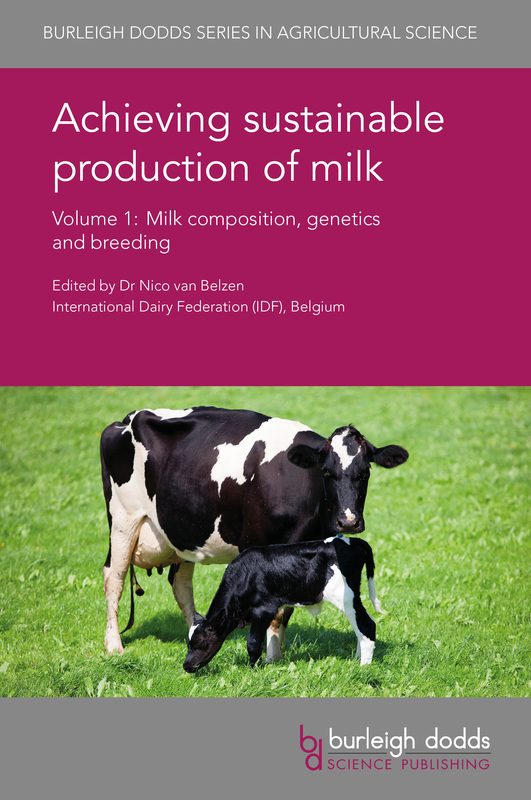 Achieving sustainable production of milk Volume 1: Milk composition, genetics and breeding will be a standard reference for animal and dairy scientists in universities, government and other research centres and companies involved in milk production. It is accompanied by two further volumes which review safety, quality and sustainability issues as well as dairy herd management and welfare.